Our keynote sessions featured executive speakers from the US, Canada and Europe discussing everything from the challenges and opportunities of defining and honing your own leadership style to aligning talent and culture in dynamic design and creative environments with a profitable business strategy. In times of economic and geopolitical uncertainty, the tendency is to think the conditions of success are external. Not so, says The Win Without Pitching Manifesto author Blair Enns. In this keynote on new business success, Enns explains why the most significant barriers are mental, exploring the mindset characteristics that separate the winners from the pack. Through his contrarian Win Without Pitching lens, Enns explores the three key new business areas of free pitching, value-based pricing, and positioning to explain what the winners do — and think — that the others do not. Prepare to have your assumptions challenged. Blair Enns is the sand in the free pitching machine. Through his sales training program for creative professionals, Win Without Pitching, he is on a mission to change the way creative services are bought and sold the world over. He is the author of The Win Without Pitching Manifesto (Rockbench, 2010) and Pricing Creativity: A Guide to Profit Beyond The Billable Hour (Rockbench, Q3 2017). Blair lives with his family in the remote mountain village of Kaslo, British Columbia, Canada. 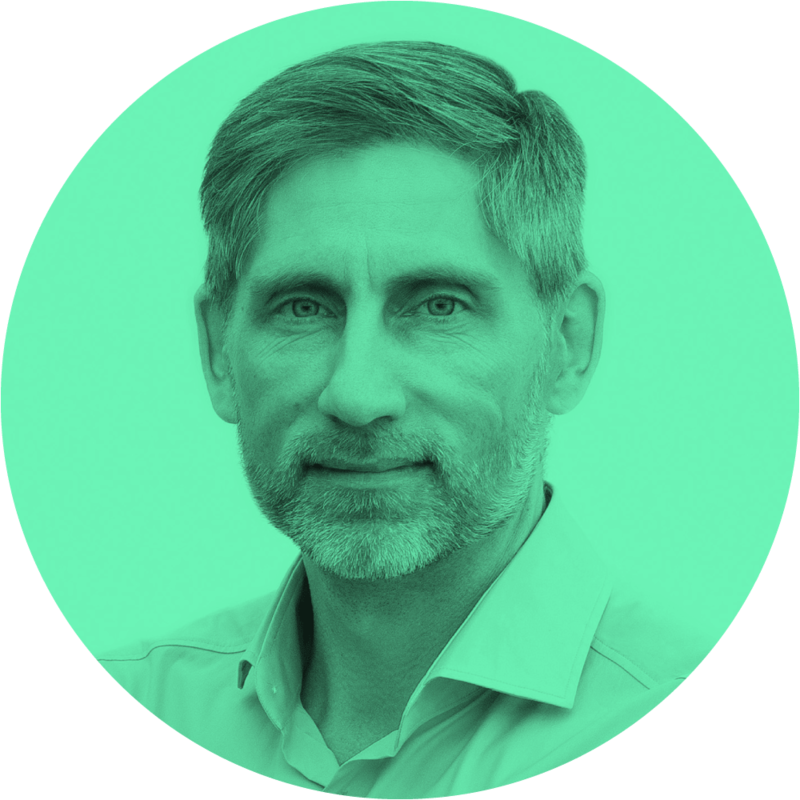 Peter Czapp loves helping design businesses grow. In 2004, he co-founded The Wow Company, an accounting firm that specialises in helping design businesses and agencies grow quicker and more sustainably. Peter loves talking about profitability and growth. As your business grows, it’s all too easy to lose track of profit. Peter knows what it takes to really make money in a design business. He knows the mistakes that nearly everyone makes, and how to solve them. 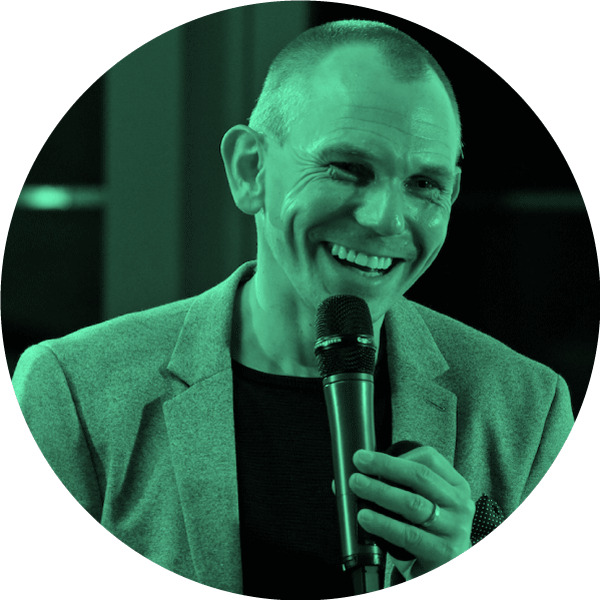 Peter also gets to see first hand what the most profitable design agencies do differently and will be sharing the secrets of how you can build your own Super-Profitable design business during his talk. He'll also be sharing the very latest benchmark data on the sector, including traits of the top-performing design agencies. Conscious leadership and culture in creative environments. Now more than ever, design leaders are needed to change the shape of our world for the better. So many designers find themselves in positions of leadership with little or no training and so learn ‘on the job’, juggling deadlines, people, budgets and client demands with little time to reflect. Emma’s talk will be an opportunity to do just that; space to think about you and your role as leader. Conscious leadership combines a deep awareness of self with an alignment of purpose and values. It is not an easy path and is quite literally a practice. However, awareness can lead to shifts in behaviour which can positively affect your people, culture and business success. Emma Collins will challenge and inspire you to reflect on what kind of leader you are and might want to become. atharine is part of the Design Leadership Team that has re-defined innovation culture within Logitech, bringing ‘Design-Thinking’ to the product development process, creating new experiences across music, gaming, video, smart home, and computing, and leads a team of material design specialists across Europe, US and Asia. A designer and trend forecaster with over 16 years of industrial experience, Katharine’s specialism lies in the development of creative product strategies, blending client brand values, consumer trend foresight and carefully considered use of materials to deliver ID and UX / UI concepts and insights. Katharine will talk about in-house design teams - their work and collaboration with external design consultancies, and the role of both people and product in leading design for innovation at senior executive level. 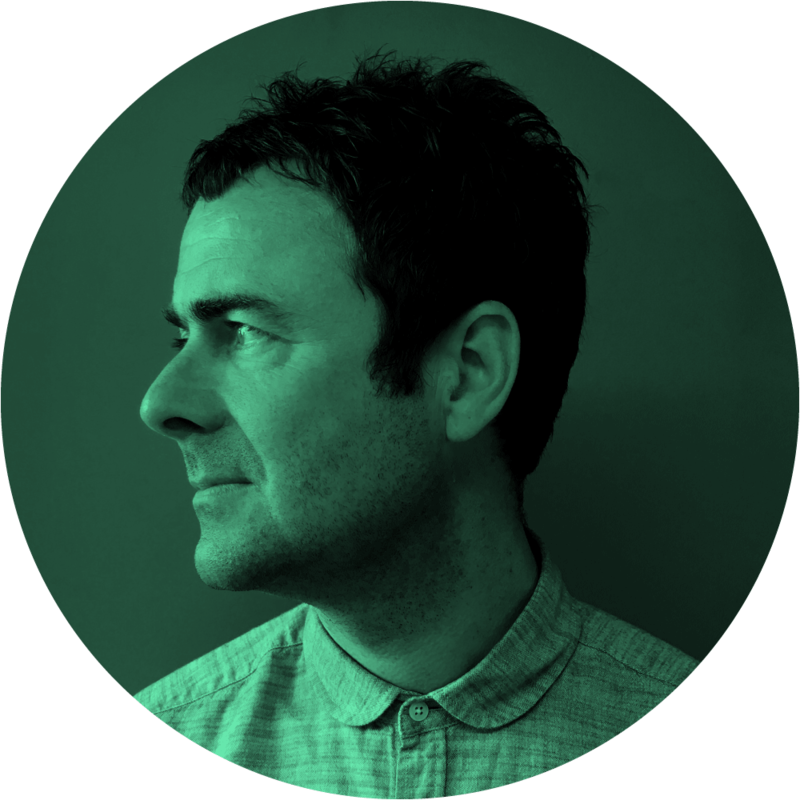 A founding partner and Executive Creative Director at LOVE, a Manchester based, design-led multi-disciplinary agency, David has over 26 years of industry experience working with global brands across a broad range of design-centric projects spanning brand experience spaces, packaging, innovation, advertising and brand design. In its time, LOVE has won just about every design award going, including several D&AD pencils, all of which sit in a stolen Tesco’s shopping trolley in LOVE’s studio. David has also been a judge for many leading award systems, including foreman of judges for D&AD. Studio Dumbar (part of Dept) is an international agency with a Dutch heritage, specialising in visual branding. Studio Dumbar attracts talented individuals from around the world. The portfolio is equally diverse, encompassing work for a variety of clients both large and small – from business and government to cultural and non-profit. Projects span from the Dutch Police visual identity, Amsterdam Sinfonietta poster series, the non profit organization Alzheimer Nederland and the Royal Cabinet of Paintings Mauritshuis visual identity to the complete rebranding of the airline Transavia. Since 2016 Studio Dumbar is part of Dept, an international digital network. Dept brings together the best agencies in creativity, technology and data. Liza is directly involved with all main projects such as the visual identity for the Royal Cabinet of Paintings Mauritshuis, Amsterdam Sinfonietta and NGO Alzheimer Nederland. Following her studies at the Royal College of Art in London, where she received her Masters, she began her career at Pentagram in London, where she remained for several years. In 2003 she relocated to The Netherlands. She also has a few ‘extra curricular’ activities which include: Letters to LoveLiza – an ‘agony aunt’ column where Liza dispenses wit and advice to designers all over the world; Design Rhymes – a series of pathetic poems about design; Books LoveLiza – an ongoing catalogue of images and reviews inspired by her bibliophilic tendencies; and Typeradio.org – a popular typography and design podcast channel which she co-founded and co-hosts. With a father that was a graphic designer, Maartje alway knew what she wanted to do. After her study as a graphic designer at the Willem de Kooning Academy in Rotterdam, she had a few short years working as a designer. But soon she found her real passion and talent in all things surrounding design; talking to clients, organizing, presenting, planning, working with designers. 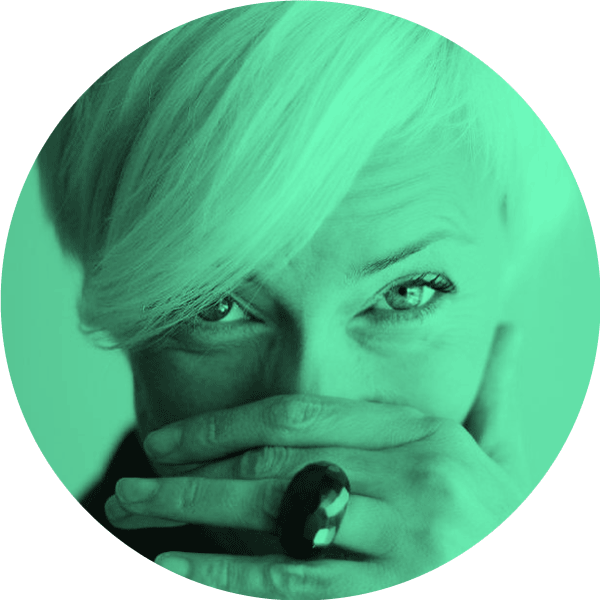 She learned all the tricks of the trade at Fabrique (a Dutch online agency) and later at SILO (Dutch branding studio). At Studio Dumbar she works on large scale rebranding projects such as Transavia, the Dutch airline, and VBMS, the subsea power cable installation company. And when she gets the time to take a break you will usually find her deep sea scuba diving in the most extraordinary places.